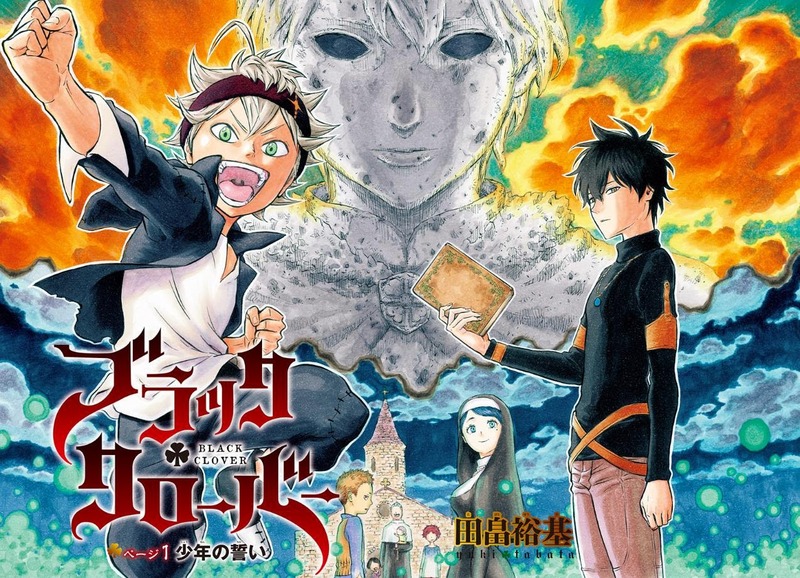 Black Clover began in Weekly Shonen Jump #12 by Yuki Tabata, author of Hungry Joker. From the first chapter one can see that it has all the makings of a successful series. It has funny moments, action scenes and a slice of emotion in the mix. Hopefully Tabata has learnt much since his past series (Hungry Joker) was cancelled early. Black Clover has the potential of becoming a great hit, but it will all depend on whether Tabata can impress the readers. But so far so good.